The high-performance Taurus SHO was one of the first Ford vehicles to employ an EcoBoost engine. There is a lot to be said for good automotive branding, especially good engine branding. One of the better recent efforts in this regard is Chrysler’s resurrection of the Hemi name, as applied to a new family of V8 engines that debuted for 2003. Reviving the Hemi nameplate helped the Chrysler company connect its current product offerings to the legendary performance machines it produced in the Fifties, Sixties, and early Seventies. And thanks in part to clever advertising (That thing got a Hemi? 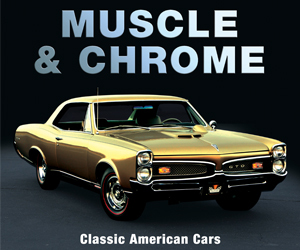 ), the Hemi moniker soon became a household term and helped the Dodge and Ram brands position themselves as purveyors of sporty cars and capable trucks. The word “hemi” was derived from a specific engine-design feature that proved itself to be very successful in racing applications—hemispherical cylinder heads. 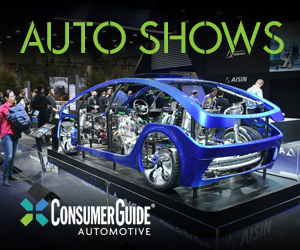 As such, the brand name had real credibility with dedicated car buffs as well as the general public (even though the combustion chambers on the new-for-2003 third-generation Hemis were no longer truly hemispherical). 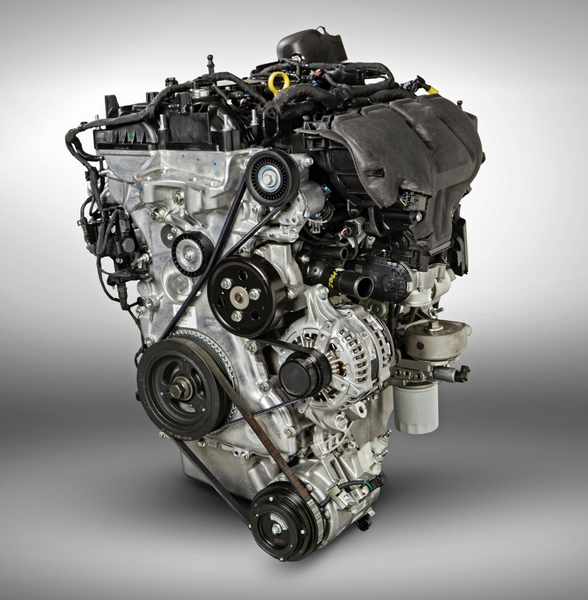 Ford found itself looking for similar consumer recognition and respect when it launched the first of a family of high-specific-output engines back in 2010. The new engines would be powerful enough to replace larger, less-efficient powerplants, and would feature a number of key technologies. The first EcoBoost engine was a 3.5-liter V6 that was optional on the 2010 Ford Flex and standard on the Taurus SHO, a high-performance model that was revived for 2010. In both applications, the engine produced a robust 365 horsepower and came only with AWD. 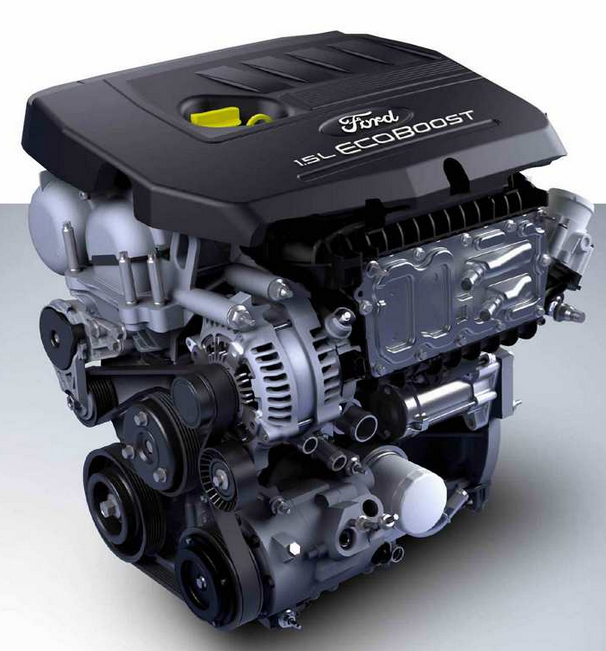 Since then, the EcoBoost family of engines has grown to include 3- and 4-cylinder powerplants found in a number of different models. 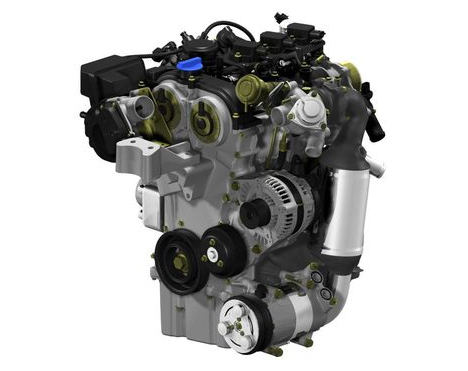 What all of these engines have in common is a trio of technologies that work in concert to produce high horsepower and torque outputs from relatively small cubic-inch displacements. 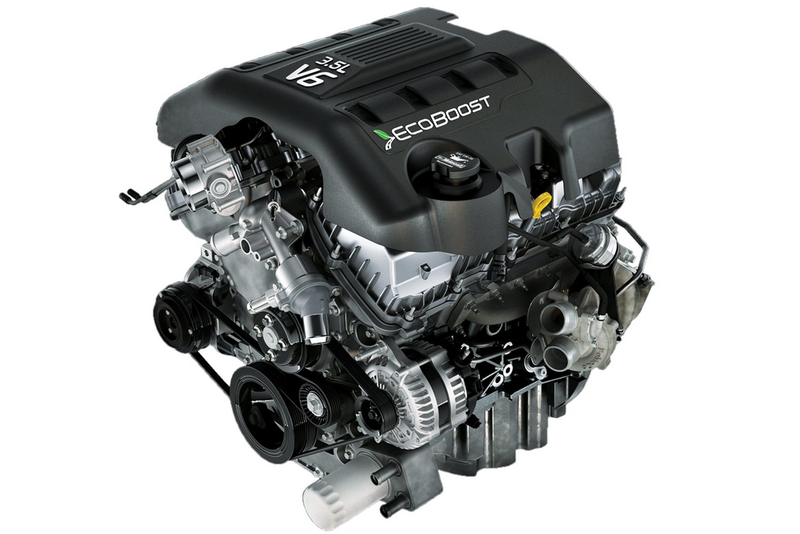 Each EcoBoost engine incorporates turbocharging, direct fuel injection, and variable valve timing on both the intake and exhaust valves. 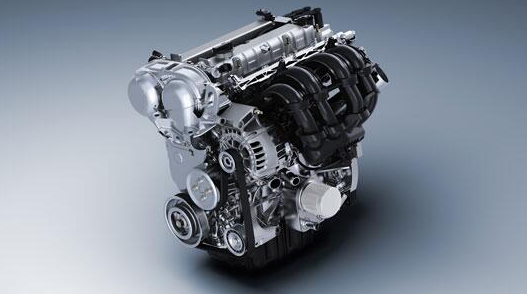 In 2010, when the EcoBoost brand was introduced, combining these technologies on a single engine was fairly rare. Almost a decade later, most manufacturers produce at least one engine making use of all three of these technologies—but those powerplants lack the EcoBoost brand recognition. 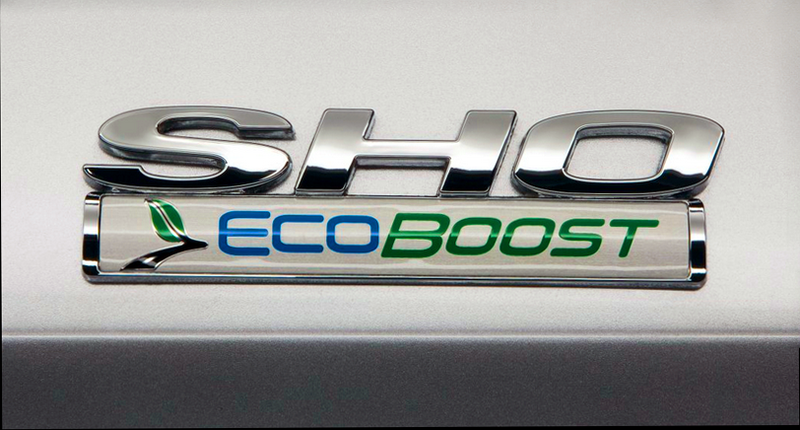 EcoBoost engines earn their “Eco” badge when used in place of a larger engine of similar power output. In the F-150 for example, a 2.7-liter EcoBoost engine is used where a 5.8-liter engine was once employed. The EcoBoost engines are typically at their most efficient during relaxed driving and highway cruising; when the engines are worked hard to provide fast acceleration or hauling power, those fuel-economy advantages sometimes evaporate. 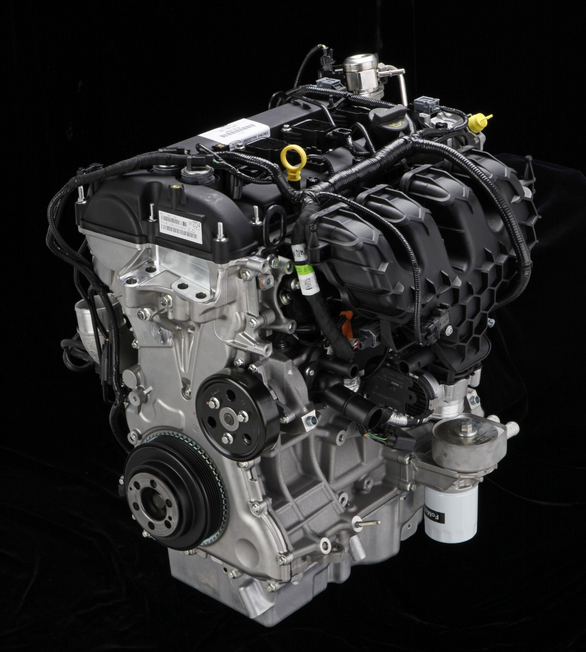 EcoBoost engines do not require special maintenance or service, and are becoming increasingly common in Ford and Lincoln products. Note that Lincoln does not employ the EcoBoost brand, though every model in its lineup is available with at least one EcoBoost engine. Available in: Edge, Escape, and Fusion. Also available in the Lincoln MKC and MKZ. Note: A high-output 252-hp version of this engine is standard in the Focus ST.
*Listed figures are for the Fusion. Horsepower may vary slightly by installation. Note: A high-output 310-hp version of this engine is standard in the Mustang; a 350-hp version of this engine is standard in the high-performance Focus RS. A version of this engine will also be standard in the 2019 Ford Ranger. *Listed figures are for the Explorer. Horsepower may vary slightly by installation. Available in: F-150, Fusion Sport, and Edge Sport. Also available in the Lincoln Continental, MKX, and MKZ. Note: The EcoBoost 2.7L is the most-popular F-150 engine choice. *Listed figures are for the Fusion Sport. Horsepower may vary slightly by installation. Available in: Expedition, Explorer, F-150, Flex, and Taurus. Also available in the Lincoln Navigator. 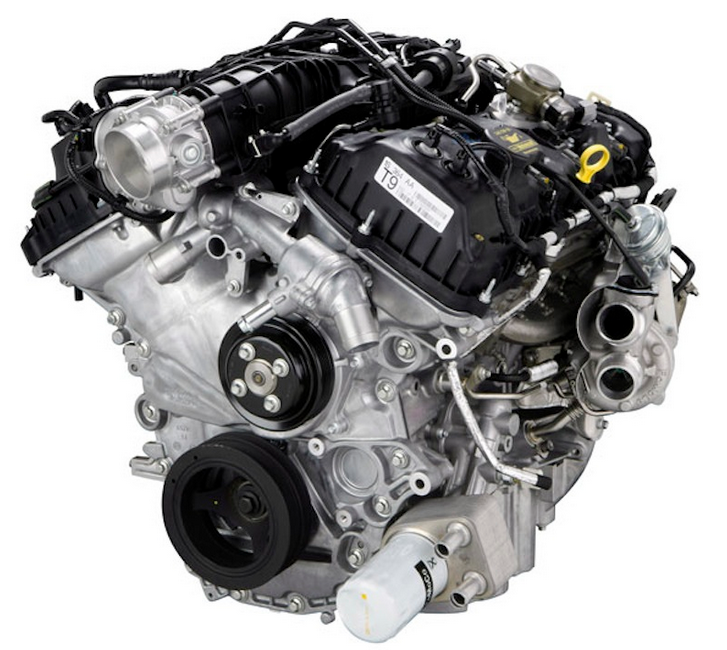 Note: The EcoBoost 3.5L engine produces 400 pound-feet of torque when installed in the Expedition, F-150, and Navigator. The F-150 Raptor comes standard with a high-performance version of the 3.5L which produces 450 horsepower and 510 pound-feet of torque. A heavily modified version of the 3.5L comes standard in Ford’s GT supercar, where it produces 647 horsepower and 550 pound-feet of torque. *Listed figures are for the Explorer and Flex. Horsepower may vary slightly by installation. Written by: Tom Appel on May 2, 2018.